Update: See the full Cincy3 Cyclocross Festival Kings CX Day 2 Report here. Jeremy Powers (Aspire), continued his dominance on American cyclocross today at Day 2 of the Cincy3 Cyclocross Festival. Powers sat out yeterday’s C2 race won by Danny Summerhill, and appeared rested for today’s C1 Kings CX event. Powers put the rest and form to good use, quickly blowing the field into pieces, creating huge time gaps and leading two former teammates in Zach McDonald (KCCX) and Jamey Driscoll (Raleigh-Clement) by almost a minute to take the win. Day 1 winner Danny Summerhill (K-Edge / Felt) followed home in fourth. 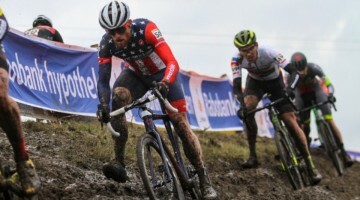 U23 National Champion Logan Owen made his season debut, finishing in eight, and Ryan Trebon (Cannondale p/b CyclocrossWorld) returned from injury to finish 23rd, four minutes in arrears. 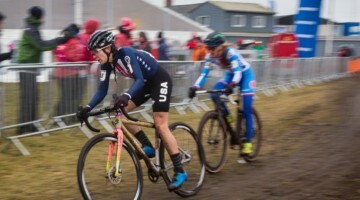 In the women’s race, Katerina Nash (Luna Pro Cycling) took a commanding win over fellow Northern California-based racer, Rachel Lloyd (Cal Giant), teammate Catherine Pendrel, and Meredith Miller (Noosa Pro Cyclocross Team). With Maghalie Rochette in sixth and Georgia Gould in eighth, Luna Pro Cycling finished four racers in the top eight. 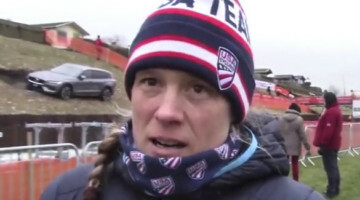 Katie Compton (Trek Factory Racing), who finished fifth on Friday after a chain mechanical and time-consuming run to the pits, had bad luck again on Saturday. 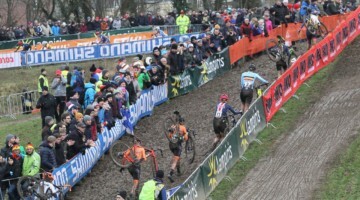 Compton also suffered a mechanical at the Valkenburg World Cup and then stormed back to take the win (see the LIKEAVOS video of Compton’s Valkenburg comeback here), but at the Cincy3 Kings CX, she wasn’t as successful in recovering from her dropped chain. 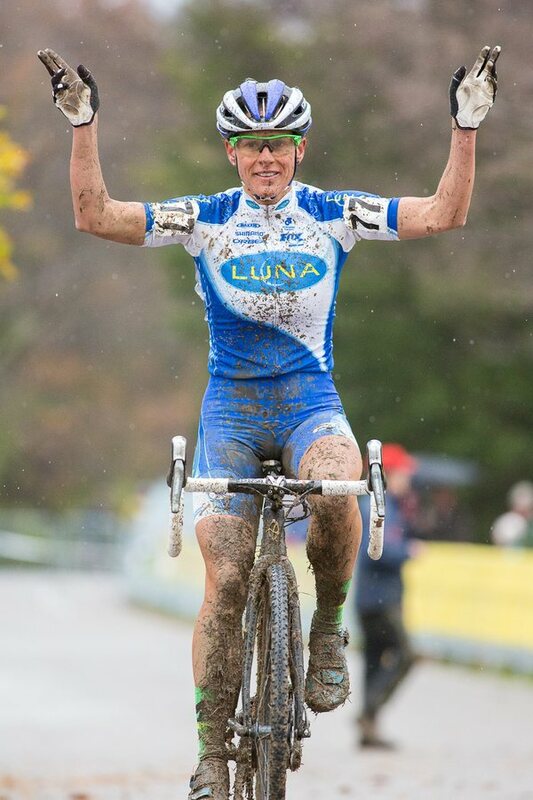 See the full Cincy3 Cyclocross Festival Kings CX Day 2 race report and full race results here.